Center for Performance Research, Williamsburg, NY. 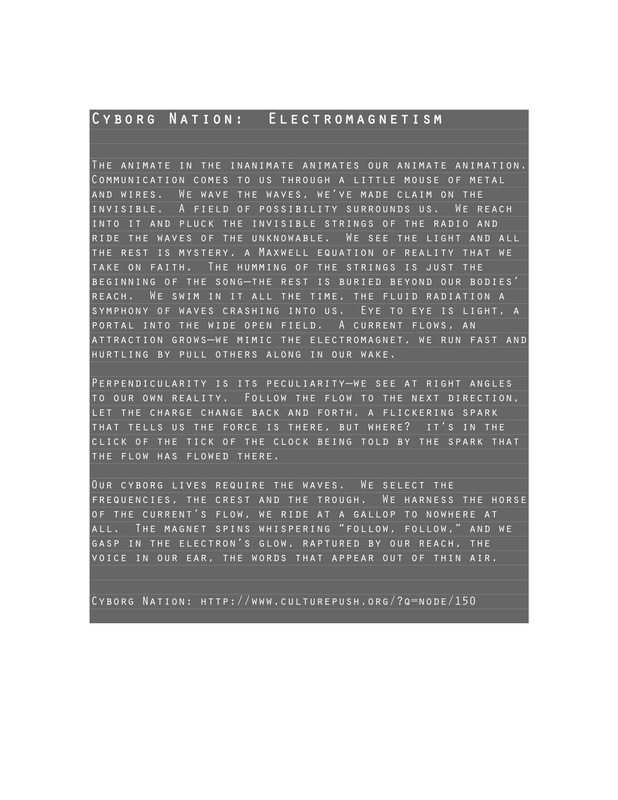 This version of Cyborg Nation was addressing our relationship to ineffable electromagnetic field, and addressed our reliance on its waveforms. 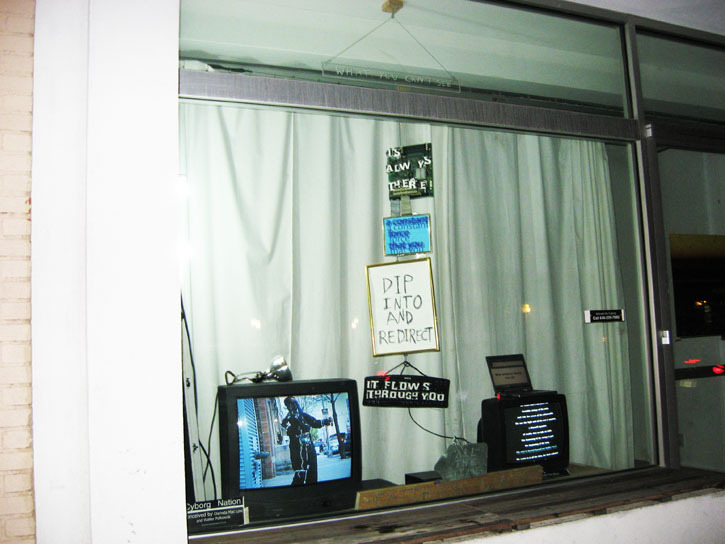 It included a window installation that remained up for a month, as well as a series of performance interactions, with three different performers inhabiting the SCoPE. During the interactions a projection made from manipulating graphic representations of the electromagnetic field played constantly. The window piece addressed the ineffable but vitally important presence of the electromagnetic field, spelling out “What you can’t see/ is always there/ A constant force/ that you dip into and redirect/ It flows through you/ all the time/ Catch the wave/ with whatever device you can/ Thank the waves/ they carry you/ without complaint” in various media. 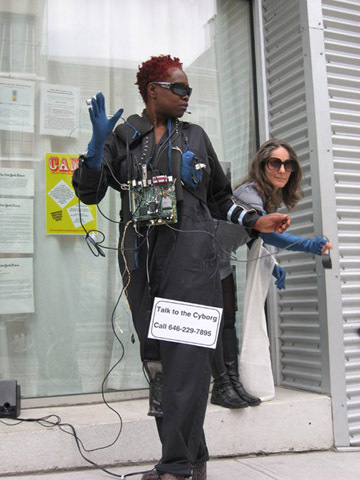 Also showing alongside this was footage from previous iterations of Cyborg Nation, including a night by night re-cap of the performance interactions as they took place. 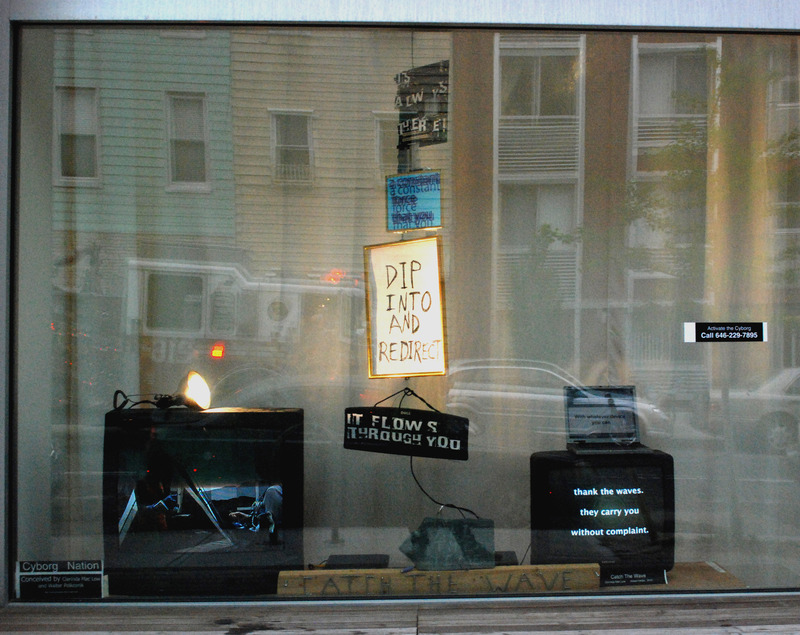 The video sample shows excerpts from the projection and the full text that played on the video installation. The photos document the installation and the performance interactions. The text image is one of the handouts that were available during the the run of the show.